After breakfast drive to beautiful Pink City - Jaipur. Reach and check in at hotel. 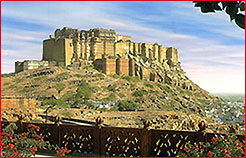 After a relaxed breakfast proceed for full day sightseeing tourof The Golden City - Jaisalmer. 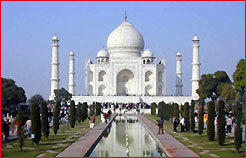 It is in the heart of the Great Indian Desert. 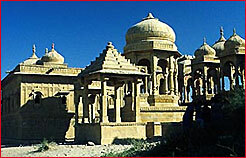 Its temple, fort and palaces are all built of yellow stone. The city is a mass of intricately carved buildings, facades and elaborate balconies. Visit the JAISALMER FORT - The oldest living Fort in the world. (This is the highlight of the tour) Stay overnight at the SWISS TENT CAMP.